By default when a page cannot be displayed (such as loss of internet connection) Kiosk Browser will automatically show the built in error page. In most scenarios this page is not user friendly (see example below). To enable your own custom error page, place your HTML page in kioskbrowser/customerror/ as per our storage article and ensure the file is named index.htm. Enable Custom Error Page in settings. This setting can be found in Settings > Page & Content > Custom Error Page. Version 2.6.0 and up supports handling of server side errors (code 400 or higher). You must have the custom error page setting turned on as well as Settings > Page & Content > Redirect to Custom Error Page to handle these errors. When a server side error is detected the custom error page is loaded but it also includes a querystring parameter e.g. ?statuscode=404. You can then handle the rest in your code. 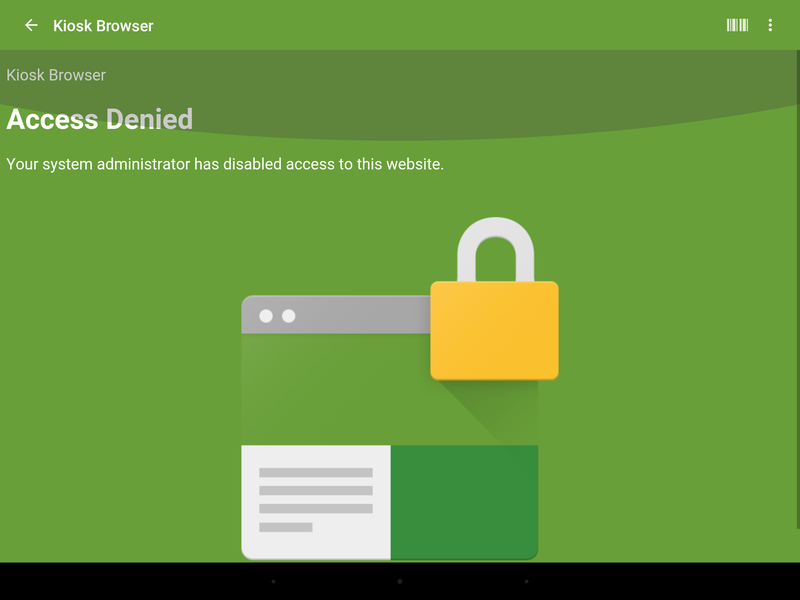 The standard access denied page is only displayed if you have the whitelist feature enabled and your end user attempts to access a page that is not whitelisted (page sample below). 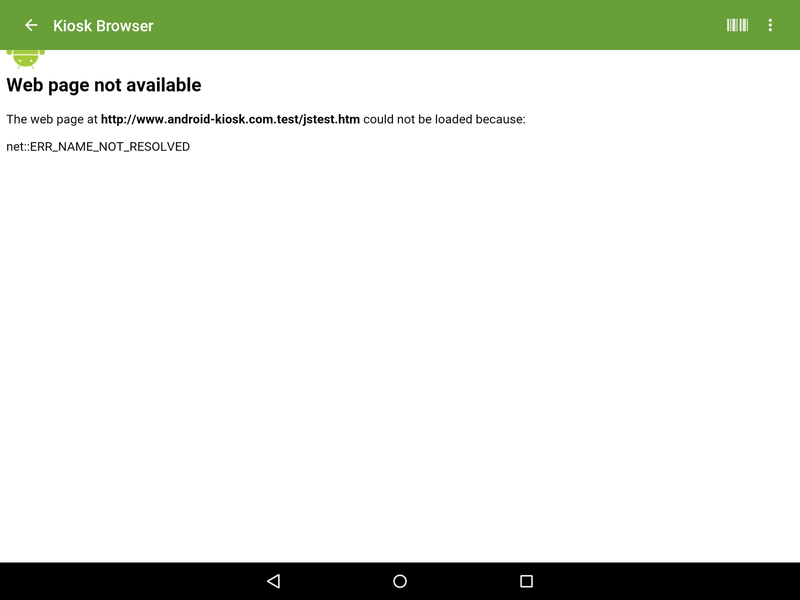 To enable your own custom access denied page, place your HTML page in kioskbrowser/accessdenied/ as per our storage article and ensure the file is named index.htm. Enable Custom Access Denied Page in settings. This setting can be found in Settings > Page & Content > Custom Access Denied Page.